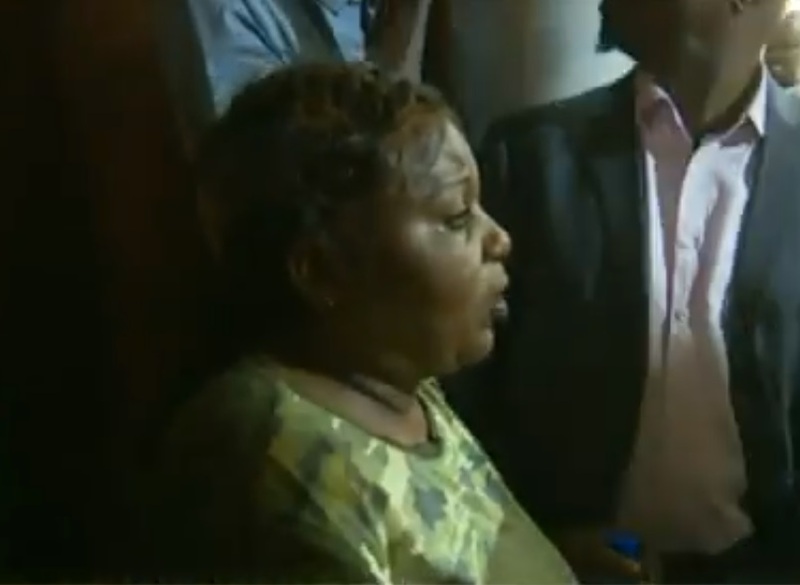 Monday, September 10, 2018 - Embattled Nairobi County Assembly Speaker Beatrice Elachi was caught on camera on Monday spraying an unidentified substance in the air when MCAs wanted to eject her from office. From the clip, Elachi, who is seen spraying a toxic substance in the air just when the angry MCAs had stormed her office forcing them to retreat while coughing. A female MCA later accused Elachi of using pepper spray on her. The Nairobi County MCAs voted overwhelmingly to impeach Elachi last week, accusing her of using taxpayers’ money to undergo plastic surgery in the US.